There are many different metals used in the creation of diamond rings. The most common of these are white, red and yellow gold, sterling silver and palladium. One of the most popular choices is platinum. At La Vivion, you can create stunning platinum wedding rings that are unique to you using our personalisation service, or select a ring from our existing stock. What Makes Platinum Perfect For Jewellery? Platinum has long been a desired option for creating pieces of diamond jewellery, particularly rings. The metal’s natural cool white sheen contrasts well the dazzling brightness of high quality diamonds, so platinum wedding rings will last a lifetime – which is exactly what you want. In comparison to other precious metals that are commonly used to fashion jewellery, platinum is one of the purest. Gold used for rings is often 18 carat or about 75% purity. Platinum is usually around 95% pure. Platinum is also one of the rarest precious metals – it’s over 30 times rarer than gold which increase its desirability. This purity also means platinum is hypoallergenic so is perfect for those with sensitive skin. Durability is one factor that is often overlooked when it comes to picking the right wedding or engagement ring. Platinum is probably the toughest, most durable precious metal in the world. 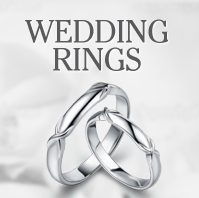 This means that platinum wedding rings will often outlast the wearer! The metal is also very dense. This makes platinum perfectly suited for setting diamonds as its great strength will firmly hold any precious stones. How Can I Maintain My Platinum Wedding Ring? Platinum, thanks to its durability and density, is one of the easiest precious metals to properly look after. To keep its characteristic metal lustre, simply soak your ring in warm soapy water and gently scrub with a soft bristled brush. Over time platinum will develop a distinct pattern of scratches and daily wear. This is known as the patina and is considered by many to be a unique positive attribute. Restoring your platinum ring to its previous shine is easy; simply buff the piece with a soft cloth to return it to its former sheen. Platinum, unlike white gold, is a genuine white metal so doesn’t require any plating. 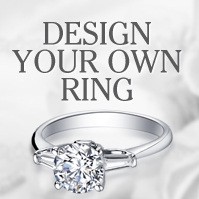 La Vivion have helped hundreds of happy couples pick out their platinum engagement rings. 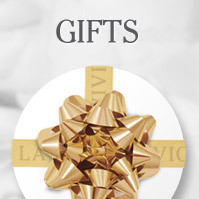 For more information on our collection, please contact us on 0800 046 1340 or send us an email at enquiries@lavivion.com.